Megan was nine, and for a nine year old there were lots of things she knew. She knew all primary colours and her times tables up to ten. She could make the best cheese toasties in the world and she knew that if you got bored you should use your imagination; her mum was always telling her so. 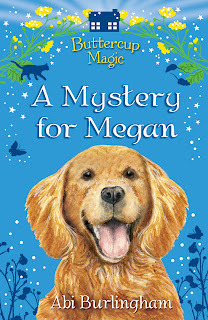 Megan was nine and there were lots of things she knew - especially that if you got bored you should use your imagination. But there were also lots of things that Megan didn't know until she went to Buttercup House. 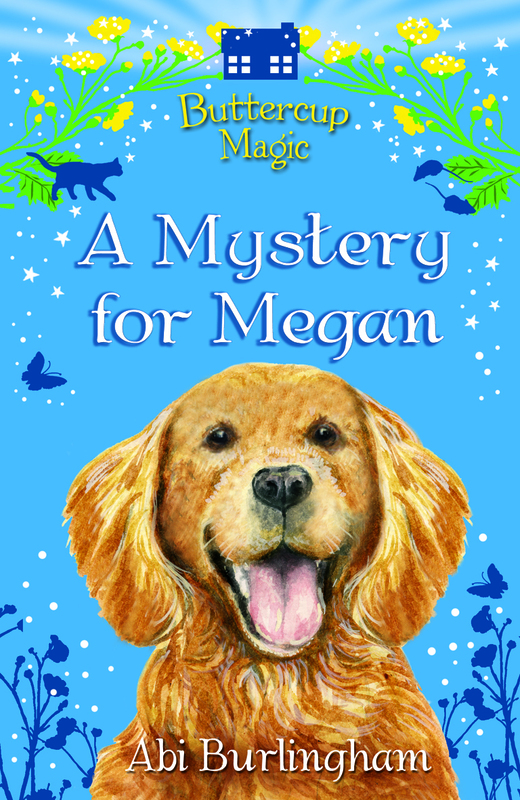 With her new best friend Freya, Megan finds out all the wonderful secrets about her new home, and she meets the magical animals that live there: some mice, Dorothy the cat, and a very special golden dog called Buttercup. What a delightful and charming little book! I was so taken with this tale full of gorgeous magical creatures I desperately wanted to hug that I finished it in one sitting. It really brought back the magic that childhood should be full of, with the air of Enid Blyton surrounding it, I felt it really captured the excitement and mystery of the unexplained that fascinated me a as a child. This book is aimed at 7 to 9 years old and I would be surprised by any little girl who didn't enjoy it. If I was a little younger *coughs* I would be snapping this one off the shelves and pestering my parents to buy it for me. This book is full of the wondrous things childhood should be made of; tree houses, colouring in, baking entwined with the odd dusting of magic. All delivered in a picturesque setting of the grounds of Buttercup Magic. It made me want to live in the house myself. Just beautiful. I think the part that really hit home to me was when Megan went to get her new library ticket. The excitement she felt, brought home my own intense pleasure of having my first library ticket. A magical little tale, that I hope will be the first of many in the Buttercup Magic series. Not quite the book I was expecting from looking at the cover but this sounds like a dream book for every little girl. Great review Vivienne, thanks for recommending this. I'm all for books you want to hug! This one sounds fantastic!